With several new movies debuting last Friday, there were big changes at the weekend box office. Check out the results below! The animated movie Spider-Man: Into the Spider-Verse topped the box office, earning a tidy $35.4 million in its debut weekend. 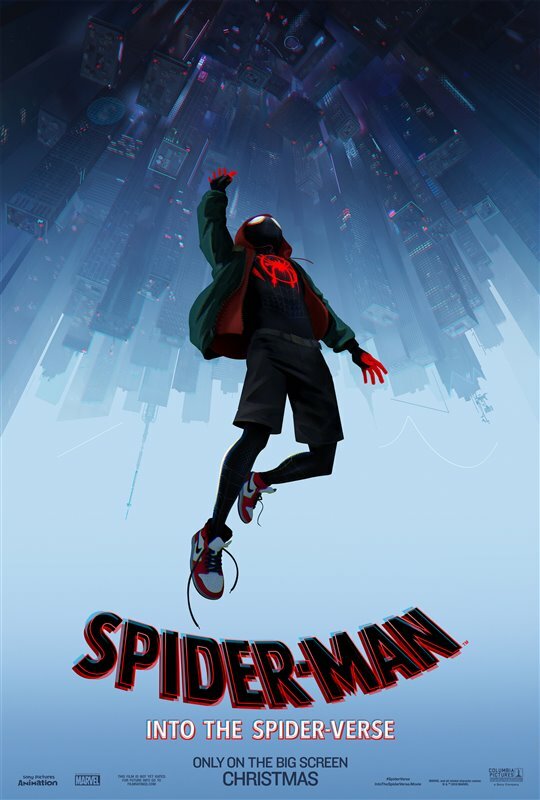 It features Peter Parker, voiced by Jake Johnson, showing others the limitless possibilities of the Spider-Verse. The Mule starring Clint Eastwood as an old-timer who gets roped into being a drug mule, alongside Bradley Cooper as a suspicious DEA agent, debuted in second, earning $17.2 million. Dr. Seuss’ The Grinch remains popular with moviegoers, dropping just one spot to third and earning an additional $11.6 million for a six-week domestic total of $239.3 million, which moves it into sixth place in the list of top 10 box office earners in 2018. Ralph Breaks the Internet went from being the top movie three weekends in a row to fourth place in its fourth weekend, earning an additional $9.6 million for a domestic total of $154.5 million. It’s one of the biggest hits of the year, now in 17th place out of the top 20 movies at the 2018 box office.